BlackBerry is publishing an open letter in major publications around the world in a bid to reassure customers that they can count on the distressed smartphone company. The letter was released Monday on Twitter and will be published in 30 publications in 9 countries Tuesday. It acknowledges "these are no doubt challenging times for us and we don't underestimate the situation" but says "you can continue to count on BlackBerry." The missive notes that BlackBerry has substantial cash and is debt free but makes no mention of the fact that the company is for sale and could be broken up and sold in pieces. BlackBerry announced last month that Fairfax Financial Holdings, which owns 10 percent of the company, signed a letter of intent that "contemplates" buying BlackBerry for $9 a share, or $4.7 billion. Fairfax, BlackBerry's largest shareholder, is trying to attract other investors. The stock is trading well below Fairfax's tentative offer on fears that the deal won't go through or that the final price will be lower. Shares of the company closed up 7 cents to $8.14 Monday. The BlackBerry, introduced in 1999, was once the dominant smartphone for on-the-go business people and other consumers. But then came a new generation of competing touchscreen smartphones, starting with Apple's iPhone in 2007. The BlackBerry suddenly looked ancient. The company's sales and market share shrank and it lost billions in market value. This year's much-delayed launch of BlackBerry 10 system and fancier devices that use the software was supposed to rejuvenate the brand and lure customers. It did not work. 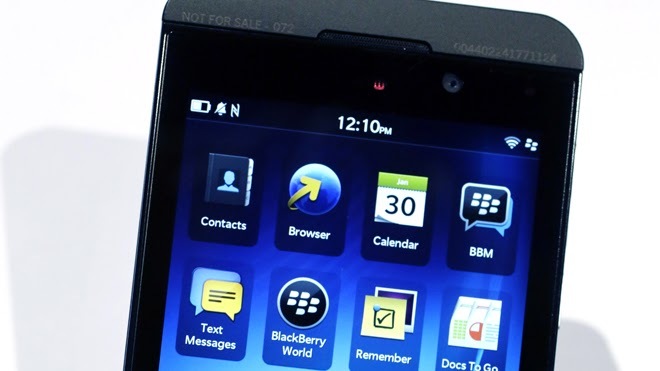 Waterloo, Ontario-based BlackBerry recently announced 4,500 layoffs, or 40 percent of its global workforce, and reported a quarterly loss of nearly $1 billion. The letter says BlackBerry continues "to offer the best mobile typing experience -- no ifs, ands or buts about it." It also acknowledges "there is a lot of competition out there and we know that BlackBerry is not for everyone."